Seeing as the Northern Lights are unpredictable far in advance, the longer you stay in Iceland, the likelier it is that you will see them. Look at the Northern lights forecast every night. Look for the white spots, which mean clear skies. Aurora activity is listed at the top right of their website. 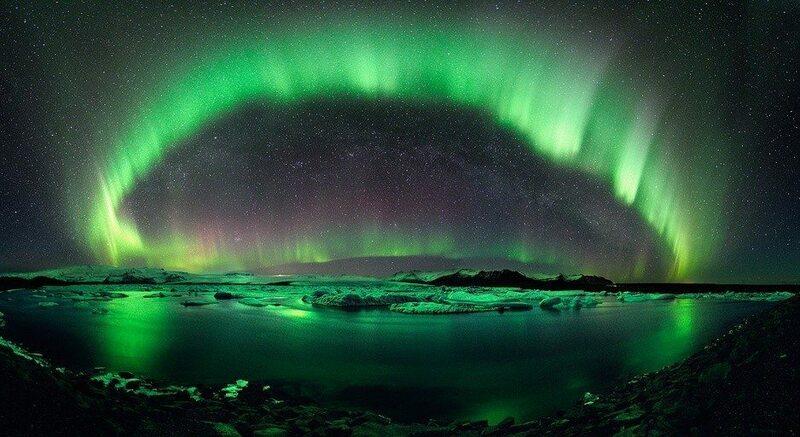 You can see the Northern lights in Iceland as early as August, as soon as the night skies get dark enough and weather conditions are favorable. It helps if it’s cool and crisp outside, and a small moon helps make them easier to spot.